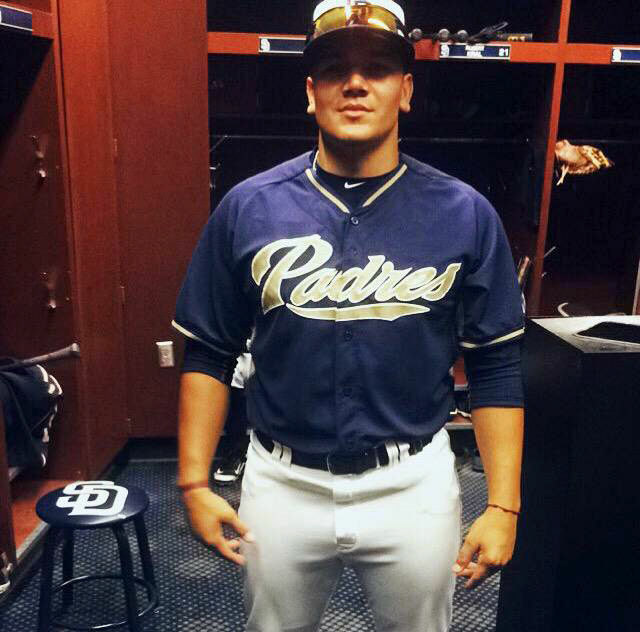 The San Diego Padres’ 19th round selection in the 2015 draft, Alan Garcia, was drafted as a power hitting outfielder. This past May, he was asked to give up his dream of being a position player and try to make it to the next level as a left-handed pitcher. This is his story. When you sign up to play professional baseball, you put yourself at the mercy of the organization. From the very beginning of your tenure with the franchise, you are taught that you must do what is best for the team above all. The game of baseball is the ultimate team sport and everyone must be in the proverbial “same boat” in order to achieve success. Young players learn this lesson quickly or they are simply dismissed. Every year, draft selections fizzle out as they are unable to handle the rigors of professional baseball. The physical challenges are difficult enough, but the mental toll can be impossible to bear for some. Alan Garcia (pronounced Ah-lan) has all the skill to be a very successful player in the game. He was selected by the Padres in the 19th round, out of a high school in Phoenix. The outfielder was drafted after displaying a five-tool talent from the left side. Alan believed his future was set as an outfielder in the organization, but his life has never really gone according to plan. He has constantly had to roll with the punches in life, and that is what has made him who he is. As well as showcasing his skills on the baseball diamond, Alan was a tremendous football player in school. He is a physical presence and you can surely see how he was dominant on the football field. Alan was a running back and scored nine touchdowns during his sophomore year in Nogales. He also averaged more than seven yards per carry. The physical toll of the sport was tough though, as he tore a ligament in his right knee after his sophomore year. He decided to give up football for good and concentrate solely on baseball, a sport he always loved. Growing up in Nogales Arizona, Garcia always had a deep love for Arizona State University. He was offered a full ride by ASU after his senior year and had a huge decision to make. “I got my first (contract) offer from the Padres while I was working at ASU, doing a baseball camp. 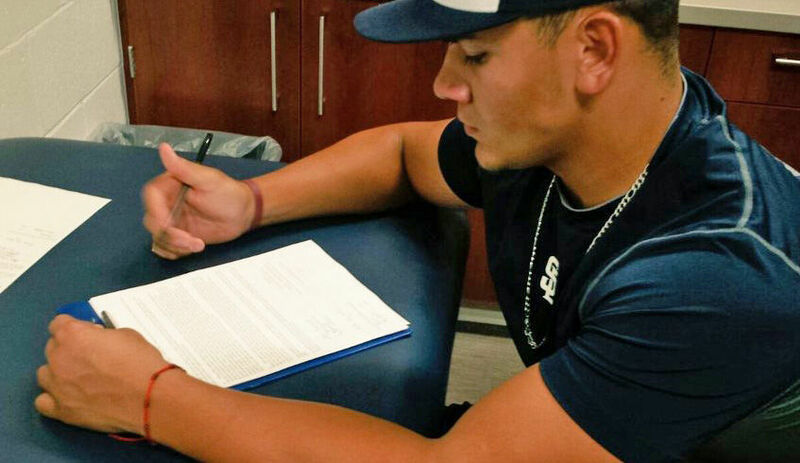 It took me a month to decide what to do… I thought this (taking Padres’ offer) was better for me and my family. I’m here now and I can’t look back.” He might have some regret now being that he is currently injured and attempting to come back as a pitcher, but Alan will never complain. The move to a pitcher was a bit of a surprise to the talented player, but he did have some idea the Padres were looking at him as a pitcher. “I honestly expected it a little bit. They had me throw a bullpen at the pre-draft workout. They were the only team that had me do that.” The Padres were indeed the only team to have him throw off a mound. The baseball operations and scouting department loved his left arm and the ability he had to hit mid 90’s on the radar gun with ease. The only issue was that he was very raw. Alan had not pitched competitively very often and was more of a thrower at this point than a pitcher. “I only pitched my senor year of high school around three games towards the end of the season.” Amazing, as the young man hadn’t thrown prior to that since he was in grade school. “Pony and Little League was the only other pitching experience I had.” Garcia has a heater, but was naturally a work in progress as a pitcher. 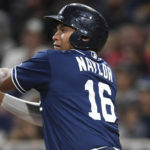 The Padres drafted him as an outfielder and allowed him to play there his first few seasons, but they had the idea that he could be a left-handed fireballer in the back of their mind. When Alan was told that his hitting career was over, he was stunned. “It was a surprise when they told me. I was fine with it. 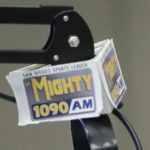 I told Sam (Geaney) I would do whatever is best for the organization.” He still believes he has a lot left in the tank with the bat, but will do what is recommended by the team. 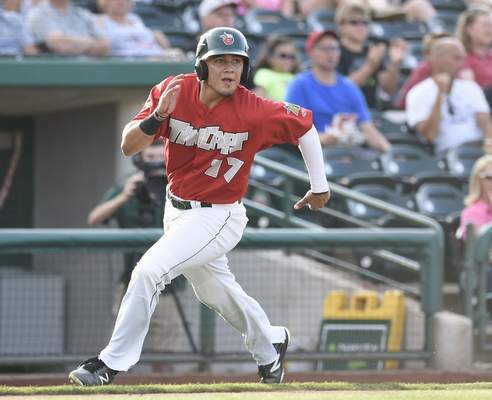 Garcia owns a career .239/.281/.292 batting line in 380 minor league at bats. “I believe that I could have gone far as a hitter. At first, I really had mixed emotions about the move. I was mad. 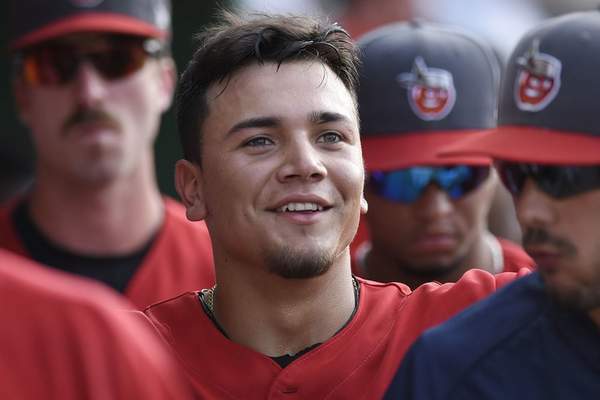 But at the same time I thought well maybe I could be an awesome left-handed pitcher and that is my calling.” The 20-year-old has no issues moving on, and that is just what he did. He spent the majority of his first month as a pitcher with Josh Spence in Arizona. “Everyday working on mechanics and my motion.” His days were spent refining his motion and preparing him for life on the mound. The whole thing was very strange to Alan, who had always been a hitter growing up. “Practices are different. 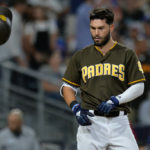 It took time to adjust… No more hitting drills was weird for me.” He explains that he is still getting used to the idea of being a pitcher, but that he is extremely excited about the idea of toeing the rubber and striking hitters out. Alan got into eight games with the AZL Padres in 2017. He recorded a 12.79 ERA in 6.1 innings pitched. While getting his feet wet, he allowed nine runs on 11 hits. 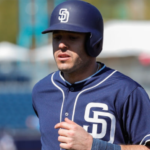 Garcia struck out five and walked five for the Padres’ rookie team. He displayed a lot of velocity, but was wild both in and out of the zone. His fastball is effective, but he needed to learn how to pitch and how to utilize the corners of the zone. During the last week of June, in a game against the AZL Padres 2 team, Alan felt something in his elbow while on the mound. “I heard a pop, but there was no pain. I kept pitching then felt fatigue and pain set in. I knew something was wrong.” He was diagnosed with a partial tear in his UCL and slight tear in his flexor. The PRP (platelet rich plasma) shots have improved general movement in his elbow and the pitcher should pick up the ball again in January. He is very excited to get back on the hump. During rehab, he and some of the staff noticed grip and motion flaws that could have been a factor in his arm injury. Being more in the “ready” position with his arm slot is something he will be more conscious of moving forward. He has a smoother motion, and with that should be able to continue pain-free with no repercussions. For now, he does shoulder and core work at least two times a week with physical trainers in preparation for the spring. Alan lives 30 minutes from the Arizona complex and is a frequent visitor to the Padres’ complex in Peoria. He is a very hard worker and refuses to let this injury sideline him. We talked about his repertoire on the mound as I was curious what he has. He throws a self-taught knuckle-curve (spike curve), a fastball, and two different changes (a four-seam grip and a circle grip). Alan is still working on mechanics and is very much a work in progress. The lefty throws hard though. That cannot be taught. With the proper guidance, he could blossom in time. Garcia will have to show that his arm issues are in the past, however. I wanted to ask Alan about some of the teammates he has played with along the way. 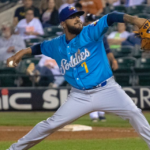 He had some great things to say about many players, but the conversation turned towards the Padres’ #1 prospect, Fernando Tatis. I asked Alan about the young infielder and what he witnessed first hand from him. 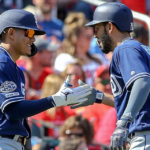 “Fernando Tatis is one of the best players I have ever seen.” Just another Padres’ player who talks about this young man and is impressed with him. Tatis will be a special talent. In closing, we discussed some goals for 2018 and beyond. “Come into spring training healthy, both mentally and physically is what I’m focused on.” That is his #1 goal, and rightfully so. It will certainly be odd for this young man to stroll into camp as a pitcher this February. He is ready for the challenge though, as this left-hander adjusts well to the curve and is not just a fastball hitter. Best wishes, Alan. 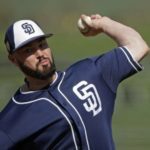 Previous What Does the Addition of Ross & Young Mean Towards the Direction of the 2018 Padres? Just wondering what where his offensive stats? What led them to believe his hitting career was over?